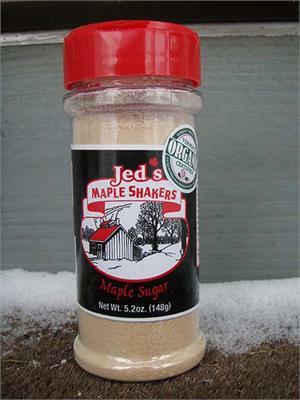 Pure Vermont Maple sugar comes in a 5.2 oz shaker. Made in Vermont using only pure VT Maple Syrup. Use it like granulated white sugar, only BETTER. you are sure to enjoy Pure Vermont Maple Sugar.